Welcome to www.newchic.com! We offer our best services to you subject to the notices, terms, and conditions set forth in this agreement (the "Agreement").Newchic.com reserves the right to change this site and these terms and conditions at any time. Under this agreement, the payment processing services for goods and/or services purchased on this website are provided by NEWCHIC COMPANY LIMITED, depending on the type of payment method used for the purchase of the goods and/or services. Notice：Newchic.com can ship from different warehouses. For orders with more than item, we may split your order into several packages according to stock levels at our own discretion.Thank you for your understanding. Except otherwise provided elsewhere in this Agreement or on the site, anything that you submit or post to newchic.com, including, without limitation, ideas, know-how, techniques, questions, reviews, comments, and suggestions (collectively, "Submissions") will be treated as non-confidential and nonproprietary, and by submitting or posting, you agree to irrevocably license the entry and all IP rights related thereto (excluding the moral rights such as authorship right) to newchic.com without charge and newchic.com shall have the royalty-free. You shall not use a false e-mail address, pretend to be someone other than yourself, or otherwise mislead newchic.com or third parties as to the origin of any Submissions or Content. Newchic.com may, but shall not be obligated to remove or edit any Submissions (including comments or reviews) for any reason. 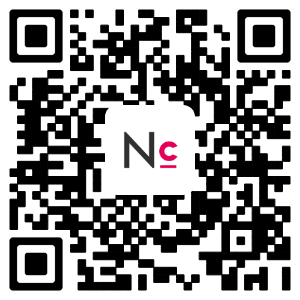 All text, graphics, photographs or other images, button icons, audio clips, logos, slogans, trade names or word software and other contents on the website of newchic.com (collectively, "Content"), belongs exclusively to newchic.com or its appropriate content suppliers. All rights not expressly granted are reserved by newchic.com. Violators will be prosecuted to the full extent of the law. Pricing of products sold by newchic.com is based upon figures calculated in U.S. Dollars (US$). Prices displayed in other currencies are converted from U.S. Dollars according to the most up to date conversion rates.denominations of currency on the Site, other than on the individual product page, may not be the most current. Areas of the Site where non-U.S. denominations of currency might be inaccurate include, but are not limited to, promotional banners, promotional pages, and information on product category pages. The price displayed on an individual product page, regardless of currency denomination, is the current price you are liable to pay to newchic.com, excluding shipping. This site may contain links to other sites on the Internet that are owned and operated by third parties. You acknowledge that newchic.com is not responsible for the operation of or content located on or through any such site. Newchic offers four different international shipping methods. You can choose your preferred shipping method on the Order Information page during the checkout process. You can return the item(s) within 14 days after delivery and ask for a full refund. If you receive damaged item(s) or if their size /color does not match with what you ordered, we will issue a full refund or we will send you a new product for free. Please contact us to make a claim. After receiving your claim we will normally respond within 24 hours. If you want to refund your order with reasonable reason and contact with us within 14 Days (After arrival), after auditing your order, we will refund according to your situation. The refund expected time is based on your payment method. Whether this help is useful?